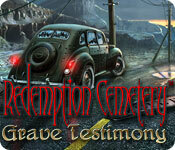 Redemption Cemetery: Grave Testimony is rated 3.9 out of 5 by 68. 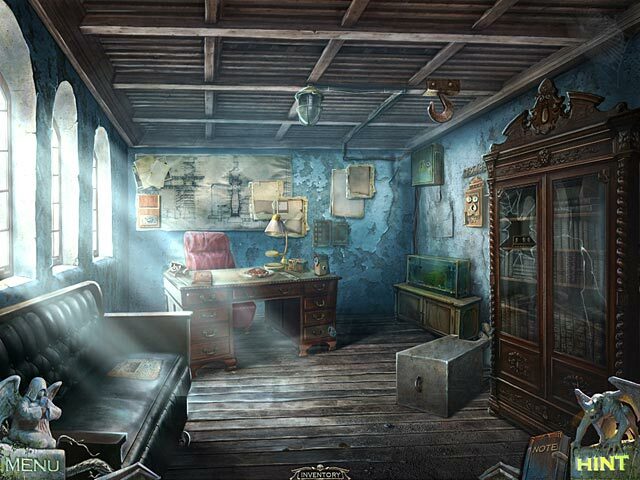 Rated 5 out of 5 by rpadder from save a soul will you good weekend game ..puzzles and hidden objects.. great story not boring a great game to have. Rated 5 out of 5 by Deejaycee522 from What a Great Game! WOW! This is a great game. Loved playing it. I have to say this was an extremely challenging game. So much thought went into it. So many areas to explore and find objects that enabled you to progress through different parts of the game. You have to put your thinking cap on to play. Every thing about this game is 5-star. Rated 5 out of 5 by JustTheFacts from Wake UP! Redemption Cemetery Just Had A Shot Of Adrenaline! GAME COMPLETED SEVERAL TIMES From the moment you open the game, Grave Testimony lets you know you’re in for something different. Having witnessed the gangland shooting of three people, you are grabbed and knocked out. You wake up to discover you are being buried alive in “Redemption Cemetery”, this time a creepy swampy island. That’s when things really start to get interesting. Again, escape is only possible through putting three lost souls to rest, starting with your would-be killer, and again we have a helpful raven to assist. But this is no cookie cutter game. There’s the highest quality hand drawn graphics, good sound, and smooth gameplay we expect from ERS, of course, but this is something more. This game plays quite differently. There are two different types of HOs, list and the more complex silhouettes, where you must find one item before you can find another, until you finally get the inventory item you need. Interspersed with, and in, the HOs are dozens of very simple puzzles. These could be as easy as an eight piece jigsaw. 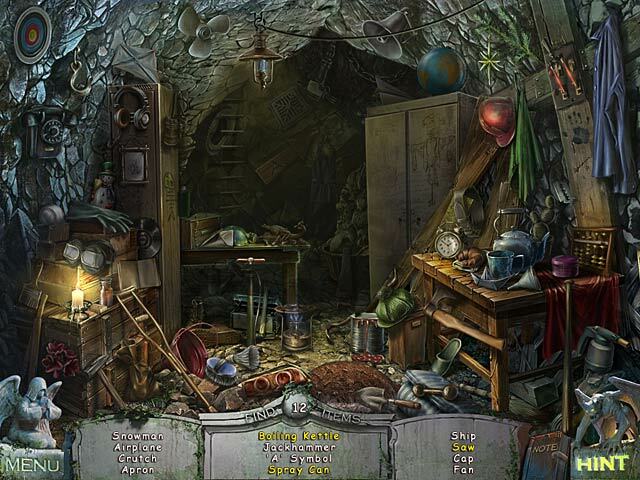 There are harder puzzles as well, but they are fewer than you would normally see in a HOPA. I liked this addition. You must keep your mind flexible, because you are never too long at any one thing, and it kept up the pace of the game. An unforgettable adventure! Rated 5 out of 5 by Bylena from Loved it! Not sure how I missed this one when it came around, but glad I found it. Great story, lots of fun! Rated 5 out of 5 by GreatOz from Good adventure You witnessed the terrible crime committed by the gangsters. Unfortunately you’ve been spotted and now your life is in risk. They took you to the old cemetery on the cursed island and tried to bury you alive. But something unexpected happened. Somebody killed them and set you free, now you must find your way out of there..but that isn’t going to be easy….. I was really blown away by fantastic graphics, cut scenes and dialogues with real people, and spooky locations! Game has 3 modes: regular- hint and skip buttons recharge quickly, active zones are highlighted; hard- active zones are not highlighted, hint and skip buttons take longer to recharge; expert- hint and skip recharges very slowly, no help in any other way. During the game you have your notes-some sort of journal, with all the information that you came across. Sadly no map. But one interesting thing is that you have a crow that helps you along the way, for example if you can not reach some objects the crow will get them for you. I loved numerous puzzles, mostly challenging and fun to solve. 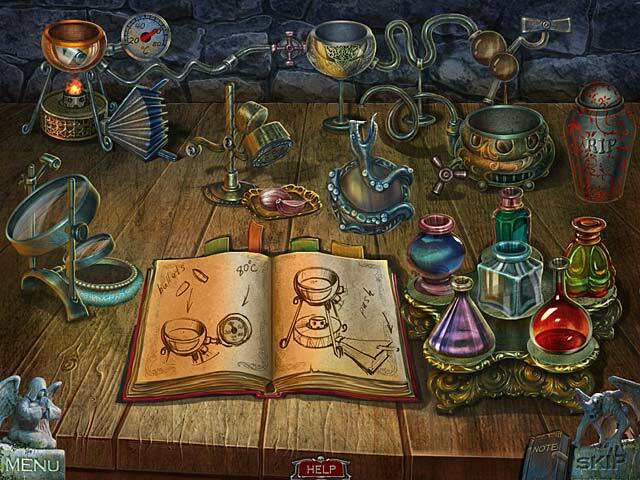 Hidden object scenes- just great, in order to solve them you must find different objects and then using them find others- some of them were quite hard ( cleverly hidden objects). Really good game, definitely worth a try! Rated 5 out of 5 by neilskinut from Good game and not that hard Another great ERS game and another good redemption cemetery game. Not hard at all and the music and voice over is good. Great graphics. The hint button is there and works great if needed. You should not need it much. Not to much running around for clues. You have 3 different ares to play.